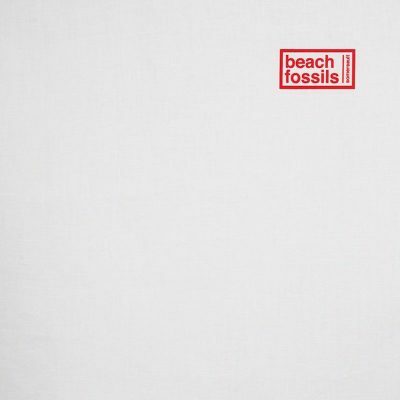 It took about four years for Beach Fossils to embark on another creative endeavor after the release of their last album, Clash The Truth, in 2013. Their upcoming album makes a compelling case for those four years well spent on growing and maturing as a group. With their latest release, Somersault, the Brooklyn indie-rockers set out to conquer new sonic territory that stems quite far from their original aesthetic. Employing unusual instrumentation and richer, more complex harmonic content, the band has managed to present a work that is both novel and familiar. The first song on the album, “This Year”—which is also the first single off the album—maintains a lot of Beach Fossils’ characteristic chorus-drenched guitars and reverb-soaked vocals, held up by a thin bass line and low-intensity drums. However, throughout this track, the band begins to employ some chords and chord progressions that are a bit more sophisticated than those found on some of the band’s earlier works. Enter the second song on the album, “Tangerine,” where any effort to ease their fanbase into their new sound is halted. Jazzy, extended chords are at the forefront of this track, and while the electric guitars retain their chorus effect, they have been gifted an additional layer of a pretty heavy phaser effect. One of the best moments in the entire album is on this song, when the first verse transitions into the chorus. These two sections are starkly different, with the first section being a pretty straightforward, indie-psych rock jam, and the second being an ethereal, bossa nova–style groove. What is truly spectacular about these two contrasting sections is how the first one goes directly into the second one with no assistance from a setup or transition. Once the second section comes in, it provides an internal release to the tension that you didn’t even realize was there. Although the band is definitely looking to expand their aural toolbox, they do manage to maintain their signature sound through a few songs on the album. Tracks like “May 1st” and “Down The Line” would feel at home on some of the band’s previous releases. While the band utilizes instruments outside of the standard indie-rock ensemble—strings, flute and harpsichord, for example—they do maintain certain practices that are endemic to their earlier repertoire. The overall form and structure of the album is pretty straightforward. The album also generates a pretty limited dynamic range, with most songs relying instead on timbral changes and harmonic shifts to keep their momentum going. There is really only one place in the album where a dynamic build-up is used (“Be Nothing”).